At our kennel we do not promote or produce angulated cookie cutter show dogs. We promote stable security dogs of the home and family that are healthy, have passing hip scores, DM tested, normal backs and even temperaments. How do we accomplish this? By mixing the types. Straight back working lines bred to show lines. This brings diversity (http://siriusdog.com/genetic-diversity-outcrossing.htm Hybrid vigor!). Topic expanded at the bottom of this page. Above Ugo and Heidi female, Gracie 2 years old. 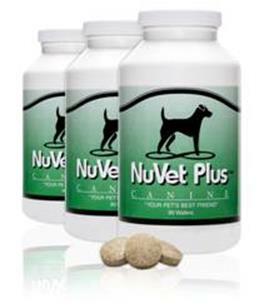 We are now a proud sponsor of NuVet Plus Tablets. We would not recommend something we do not use ourselves. This is an amazing product and you WILL SEE RESULTS quickly. Less shedding, shiny coat and overall better health. Puppies especially need this the 1st 6mo when shots are administered. Vaccines, change of home and diet, drop the immune system and this product boosts it. We do not require our buyers to purchase this but rather highly recommend it. If your unsure about this product, just try it for a couple of months and see for yourself. have sold puppies to Denver Colorado Nebraska Kansas South Dakota Iowa Illinois Wyoming Montana. then take a look at the whole picture before you criticize. the caring of their welfare through snow, through wind and through rain. Stress and trepidation until the last angel is finally born. "Ok, mommy, we can do it. One last push if you can." Then comes a little baby, who only weighs sixty grams. "Why so small?" you ask. "Did I do something wrong." "I will give him a chance and hope one day he'll be strong." You know he's counting on you; you'll fight this fight alone. two-hour feedings, throughout the day and the night. Warmed next to your heart is their tiny little brother. Day 1; "God please help," as you say a silent prayer. Day 4; he's better, with lots of love and care. Day 8;. he's gaining weight; what a wonderful surprise. Day 10; he's giving in, just as he opened his eyes. With burning tears and heavy heart you bury him alone. Mommy mustn't watch she'll only see and smell the new stone. You ask yourself, "Why do this? . . . Why do I suffer so?" Yet watch the joy your puppies bring; then you'll surely know. At our kennel we do not promote or produce angulated cookie cutter show dogs. We promote family pets that are healthy OFA hips/elbows, DM tested, normal backs and even temperaments of German Lines Only. How do we accomplish this? By mixing the types. Straight back working lines bred to show lines. This brings diversity (A Good thing! Hybrid vigor!) Breeding and showing one "type" imposes restrictive conformation standards on them & artificially shrink the gene pool. I see no reason the gene pool be so small, and fanciers of "their type" so narrow minded. 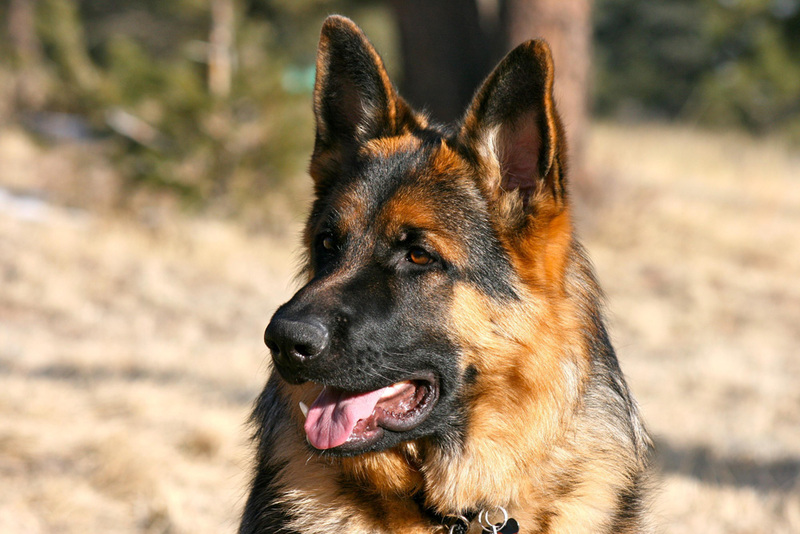 Isolation of the 3-4 different types of German Shepherds is hurting the breed and there is talk of eventually divide the "types" into a separate breeds (narrowing the gene pool even more). 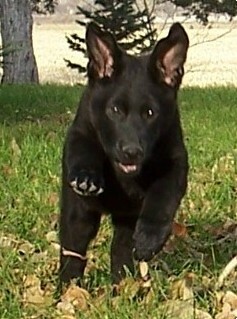 Most show Fanciers cant agree that the other "type" has positive attributes that would enhance their own dogs. However; in order to win titles and shows, they must conform to their "type", breeding only within that particular gene pool. Thus forcing Breeder's who want titled dogs to line-breed. It is now practiced, promoted, and preached that cookie cutter dogs be produced and stay within their "type" so they all look the same because they are all related to "x & y Champion dog". They are forced to think this way because they have to do this in order to win. Politics are huge in the ring...."That dog has x&y in his pedigree, he must be a winner. "....Common sense has gone out the door for what family pet owners want. Average people on the street see these "show dogs" as "Something wrong with their legs or back." How come an average person sees this and not a Judge? The only conclusion I can come to is they are blinded by years of brainwashing and pushed their strange views on what Breeders are supposed to breed. 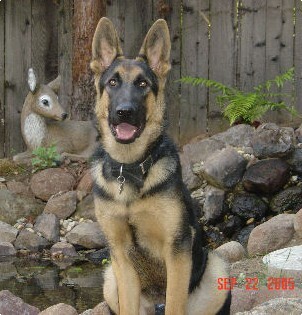 None of Max S. (GSD founder) had dogs that looked anything like what is being shown today in conformation. How can they say this is the standard of the breed! Who changed the standard and how did we get so far off the original stock? Average GSD pet owners are not brainwashed, they know what they see and don't like it....for good reason....It doesn't look healthy and it certainly is not normal. Diversity has always made things stronger to stand the test of time. But in order to do this we must first tear down the blinders and stereotypes, have open minds, and embrace and appreciate what we do not have that someone else does and likewise and work together to produce an even better outcome. Use ALL positive resources available!